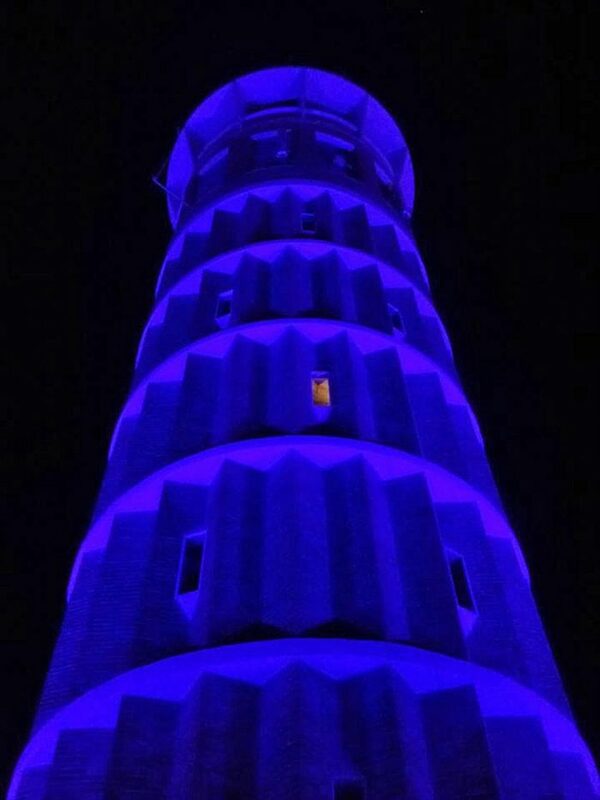 Saturday, June 15, at 21:00, the icon of Civitanova Marche – the majestic Tower of Cristo Re (bell tower of the omonymous church and at the same time beacon for the city harbor) – has been illuminated by an intense blue. 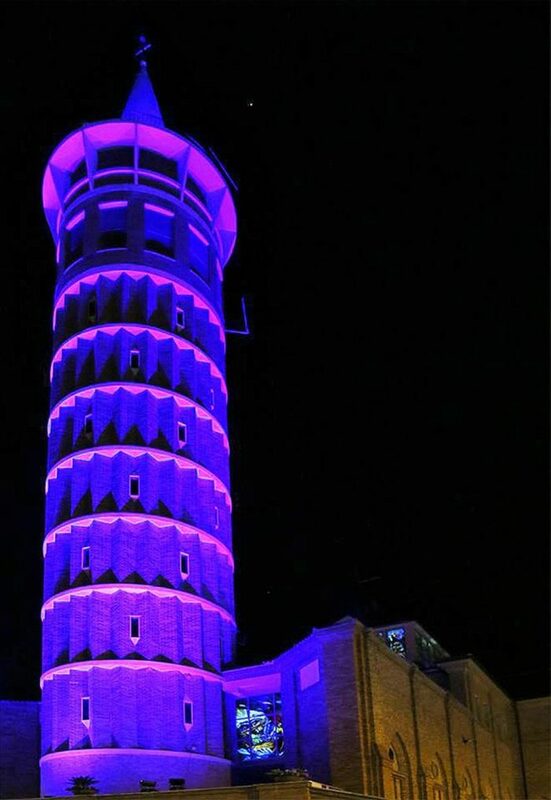 A symbolic choice – the color of the sea – in the heart of the celebrations for being awarded the ‘Blue Flag’, international recognition of the quality of bathing water of Civitanova. 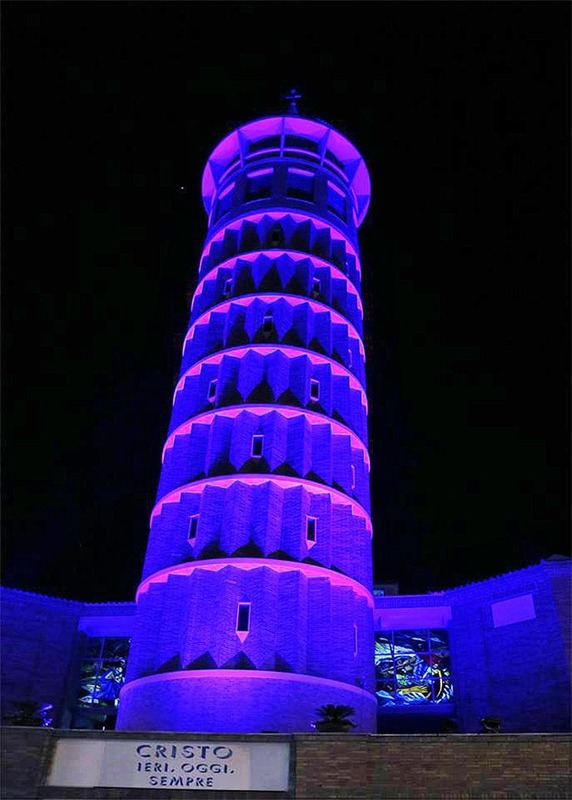 This event in the event was made possible by a lighting installation designed and executed by Yuri Cecarini, which thus describes the implementation.